Architecturally designed with all mod cons. Sleeps seven. Decks, outdoor furniture, barbecues. Tranquil setting, and only a short three minute walk to surf beach, forest walks, kids' playground and tennis courts. Plus, key to great pool and spa complex. A beautiful location for a restful break away, yet only 10 minutes from Whangamata shops and cafes. Note: Not suitable for preschoolers due to inside layout. The house has three bedrooms, two with queen beds and one with a single and two bunks. All beds and bedding is of high quality for a peaceful stay. Those booking in winter will appreciate the ambiance of the log burner with ample supply of wood and pine cones. Minimum stay of 4-6 nights (varies by season). Freeview and Sky Aerial (Bring own decoder). Great location. Excellent living space layout with comfy window seat/daybed. What a lovely location. Could easily spend the rest of my life there! We had a wonderful stay in Onemana. The house was superb and just moments from the beach. Highly recommend to anyone wanting a peaceful and relaxing holiday. Was a pleasure to stay in such lovely accommodation in such an idyllic spot. Beautiful and spacious beach house in a peaceful location. Beautiful and spacious beach house in a peaceful location. 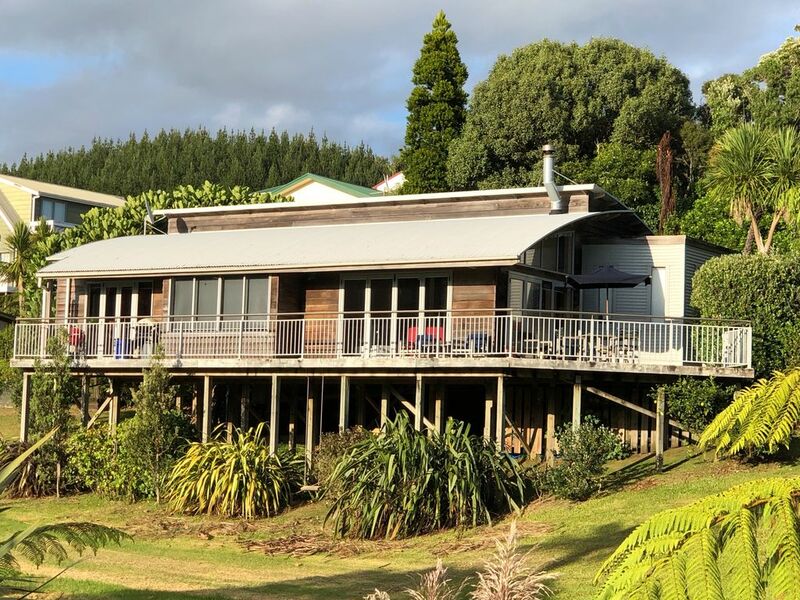 Well equipped and modern, close to the beach & 5 min drive to Whangamata. Didn't want to leave! The house was lovely, and the location was amazing. The house was lovely, and the location was amazing. Onemana is a beautiful place - would highly recommend!